We all know that we should take care of bees. We are often told that we should help out a tired bee whenever we see them on our property, favoring them with a little sugar water so that they can get on their way and start pollinating our plants once more. 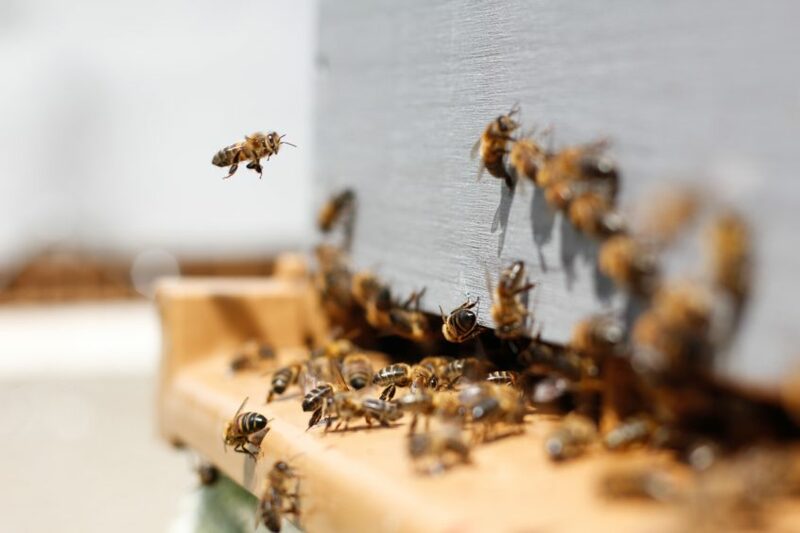 We all know that bees are an integral part of our ecosystem, and if they continue to die out at the alarming rates we’ve seen in recent years it cannot be a good sign for us. However, while we owe it to our apidae amigos to ensure that they continue to thrive and contribute to the delicate balance of our ecology, we must also remain vigilant. There are many different kinds of bees, and not all of them are as benign as common species like the diadasia. If you spot Africanized honey bees in your yard they could represent a significant health risk to you and your family. Because we have been so heavily encouraged to nurture bee populations that many of us have forgotten that like any force of nature, bees deserve our respect. And sometimes the best way to show our respect is by taking a big step back. Africanized honey bees are far more dangerous than the honey bees many of us are used to. Africanized honey bees are often referred to as “killer bees” and have been hybridized by cross-breeding African bees with western honey bee species such as the Italian bee. Unlike most honey bees they are highly defensive and easily provoked and if they feel threatened can attack in large swarms. While their venom is no less potent than that of a European honey bee their increased aggression means that a swarm can result in up to 10 times more stings. This means that if swarmed you could potentially be stung with up to 10 times more venom which could have fatal results. Like the western honey bee it can only sting once and dies after stinging. Spotting the difference between Africanized honey bees and European strains could save your life. Beekeepers and enthusiasts will be able to recognize that the Africanized honey bee is somewhat smaller than their European counterparts. For the layman, however, the difference is most notable by their behavior. They are far more defensive and will likely come over to investigate you when you get within 120 yards from the hive. If you feel that the bees in your yard are more aggressive or defensive than you’d expect from your previous experience of honey bee behavior it’s best to err on the side of caution. Because Africanized bees can respond aggressively and in large numbers whenever they perceive the most remote threat to their nest, you should not attempt to remove Africanized honey bees yourself. Keep yourself, your family and your pets at a respectful distance. An africanized honey bee sting is no joke and if you do find yourself with multiple stings please seek medical attention. Only a trained professional should be trusted to remove Africanized honey bees from your yard, ensuring that you and your family stay safe! If you suspect that you may have Africanized honey bees in your yard and need bee removal in Las Vegas give Bee Master a call at 702.457.6700 or contact us through our website for a free estimate.